Now that Venice, Telluride, and Toronto have come to a close, it’s time to consider how they’ve shaped the upcoming awards season, launching several frontrunners across multiple categories, while also throwing a few unexpected names into the mix. If you’re unfamiliar with how much these three festivals impact Oscar, consider this: All four of the acting winners last year (Gary Oldman, Frances McDormand, Sam Rockwell, Allison Janney), as well as the winners for Best Picture and Best Director, played at the 2017 Toronto Film Festival. Will the same hold true in 2018? It’s looking very possible that it will. Probably the biggest contender was a film that played all three fests (always a major sign of quality and a trait held by “The Shape of Water” and “Three Billboards Outside Ebbing, Missouri” last year) this year, Bradley Cooper’s “A Star is Born,” which everyone agrees is a huge player across multiple categories. A very possible, arguably even likely, double-digit nominee, “A Star is Born” feels like it has the most Oscar energy coming out of TIFF. Not only is it the kind of movie that seems likely to be a massive hit, but even cynical critics agreed on both its performance and technical merit. Bradley Cooper could even land a stunning five nominations—Picture (as a producer), Actor, Director, Screenplay, and Song (he co-wrote some with Lady Gaga). At least four of those seem likely (the script is not the film’s strength). And if Most Popular Film was still a category, it would be six potential because this film is going to be popular. It feels like the kind of movie that gets a wave of nominations including Pic, Actor, Actress, Supporting Actor, Director, and 4-5 techs. It could be this year’s most-nominated film and a presumptive frontrunner to win. There were other widely acclaimed films with roads to Oscar that feel bumpier. 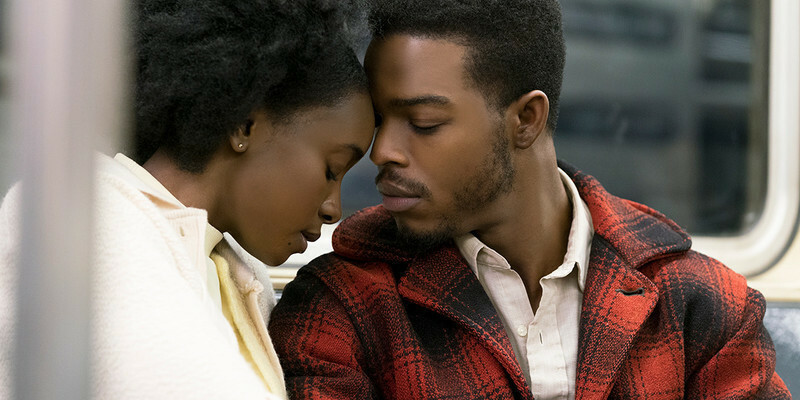 Lack of star power could hurt Barry Jenkins’ “If Beale Street Could Talk” and Alfonso Cuaron’s “Roma,” but both earned raves, with the latter even landing the Golden Lion at Venice—the inevitable Best Picture winner last year started collecting its prizes there. Is the Academy ready to embrace a Netflix Original? And could a foreign language film win Best Picture? It feels unlikely but a nomination is almost certain, as are nods for Director and Cinematography. Jenkins’ film will be unfairly compared to “Moonlight” and probably come up short enough to exclude him from Director and maybe even from Picture (even if I loved it). The film’s best shot may be the transcendent performance by Regina King. Another filmmaker whose last work landed a Best Picture trophy popped up at Toronto with Steve McQueen’s “Widows,” another film that will unfairly be seen as a step down from the one before just because of its "less important" subject matter, but feels like it's still likely to play in multiple categories. With one of the best ensembles of 2018, Viola Davis feels like a near-lock for a nomination, and the supporting cast could include several players, most likely just Elizabeth Debicki, but potentially Brian Tyree Henry, Colin Farrell, Daniel Kaluuya, and Michelle Rodriguez. Ignore the faux controversy around Damien Chazelle’s “First Man,” another three-fest offering that is locked into several categories, including Picture, Director, and Actor. How far it expands from there will depend on how audiences respond to what is a colder, less crowd-pleasing film than they may be expecting. Could Claire Foy and Chazelle himself land nominations? It’s possible, but not certain yet. It depends on how a few other contenders play out. There were also a number of films that played the fall fests that will pop in a category or two if not land as multi-category nominees like “A Star is Born” and “First Man.” Praise was unanimous for Melissa McCarthy’s work in “Can You Ever Forgive Me?,” and she may even be joined by co-star Richard E. Grant in Best Supporting Actor. Other categories seem unlikely. “Beautiful Boy” earned praise for its leading men, Timothee Chalamet and Steve Carell, with the former being more likely to land a nod for the second year in a row. “Boy Erased” and “Ben is Back” have performances people will like but feel like they’ll fall short of the top five for Oscar. “The Favourite” bypassed TIFF for NYFF, and it will be interesting to see how it plays in the Big Apple. Those who love it think it could be an Oscar player, but some are far less certain. 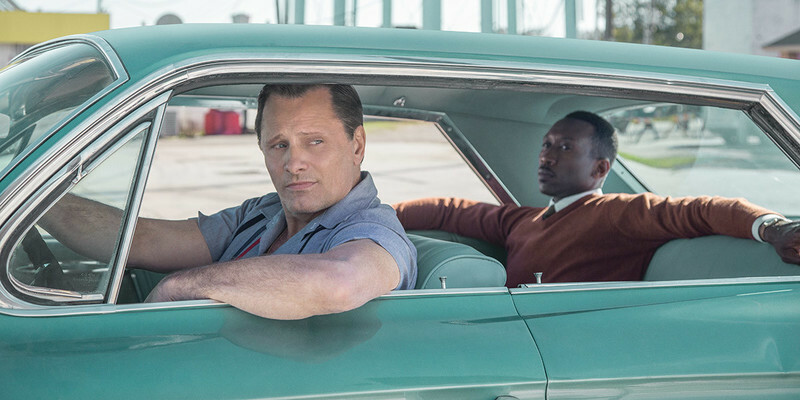 The biggest surprise contender out of TIFF 18 could be Peter Farrelly’s “Green Book,” a film that feels like it could easily be this year’s “The Blind Side” or “The Help,” a crowdpleaser that gets enough love to drop into the 9th or 10th Best Picture slot and maybe even score a nomination for Mahershala Ali or Viggo Mortensen, although category controversy has already begun (they’re likely to go Viggo for lead and Mahershala for supporting but they’re really co-leads). Could “Green Book” be this year’s “I, Tonya,” a movie that no one saw coming pre-TIFF and turned into an Oscar winner? It stunned everyone on Sunday by beating "Star is Born" to take the Peoples Choice Award, a prize that has gone to films like "Room," "Three Billboards," and "Slumdog Millionaire" in recent years. All Best Picture nominees. Next Article: 2018 Fall Movie Preview: 10 Films We're Excited About Previous Article: 30 Minutes on: "Searching"